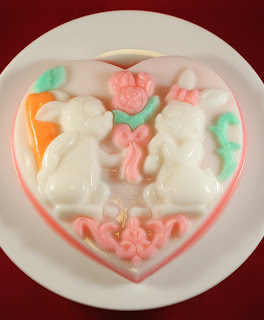 So I found this cute heart shaped mold lying around my home. 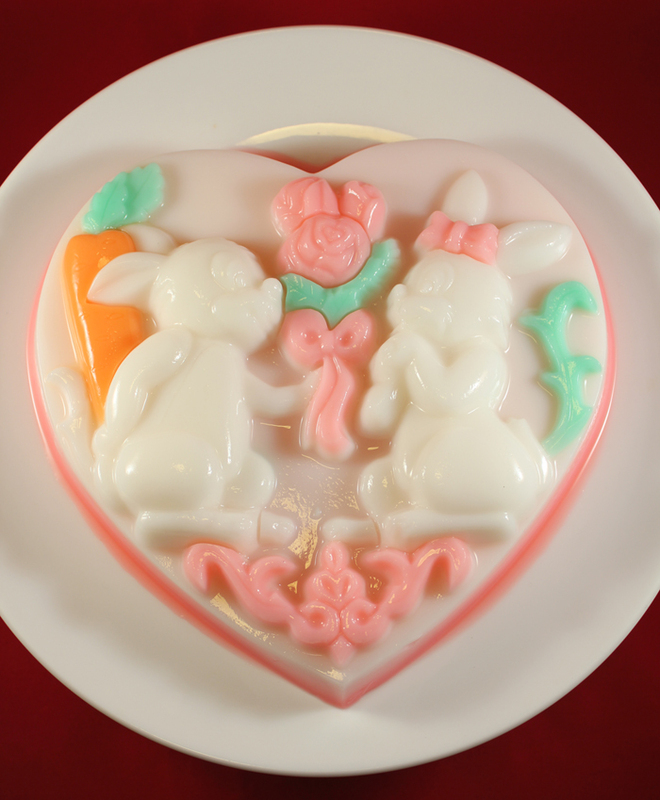 I decided to buy an agar gelatin mix and filled in the mold with nice colors to produce a pretty dessert. Jello could also be put in the mold, but jello is transparent, so I don't think it would work so well. I thought I'd share it with you. There's no recipe though. 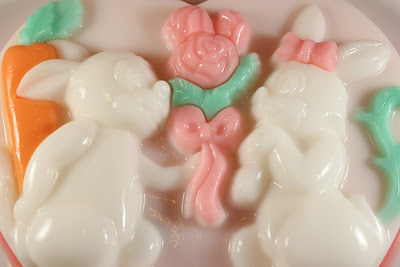 I used an almond flavor agar mix found in an asian super market and dyed it with food coloring.